I landed in New Orleans last week to visit with racial justice activists, looking for inspiration and innovation. I’ve always believed that where there is unusual adversity there is also extraordinary strength, and that belief holds true in New Orleans. New Orleans faced two floods in the wake of Hurricane Katrina. The first took about 1,500 lives when the levies broke. That flood also displaced a significant percentage of New Orleans’ Black community. In 2003, New Orleans was a city of about 470 thousand people of whom 67.3% were Black and 28.1% were white. Today, the city is home to about 360 thousand people, 60% Black and 35% white. The second flood came in the form of a deluge of people – some came to help, others came to participate in a land grab of historic dimensions. New Orleans is brimming with New New Orleanians whose invasion of New Orleans most historic neighborhoods has pushed many poor long-time residents out of the city and into its periphery, contributing to demographic change in the city. As the city grows, it is growing whiter. Among the flood of people are interns, some of whom have replaced public school teachers, a great many of them Black, who were fired shortly after the hurricane in a move many believe was meant to break the teachers’ union. With this act, one of the pillars of the African American middle-class cracked. The situation here is reminiscent of international disaster relief efforts that send outside workers to communities that have longstanding community organizations and leaders that are often damaged first by the disasters and second by the relief efforts that capture the lion’s share of financial support and marginalize local expertise. Indigenous wisdom, indigenous leaders, and appropriate solutions based on an intimate understanding of community needs and capacities are pushed aside, with funding going to programs to rebuild communities according to blueprints imposed by outside “experts.”. 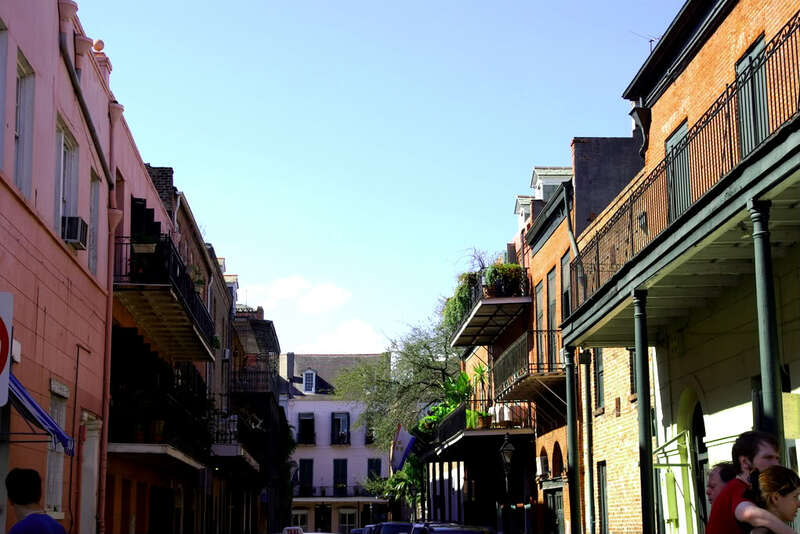 A couple of leaders I’ve talked to went in search of internships to help rebuild the community they grew up in and found that being native to New Orleans made them ineligible. One was able to take advantage of the fact she’d been away for some time to present herself as an outsider, and the other was disqualified. The color line is drawn brightly in the Deep South, where I’m commonly regarded as white. This was made apparent to me while I was in an oyster bar early on in my trip. The shuckers were African American, and the barman and almost all of the servers were white. An older Southern white couple were seated next to me. The man ordered “a dozen of the biggest, fattest oysters you got…” As the shucker plated the oysters, he threw a couple out that were below grade. The customer said to the barman “your boy is throwing out perfectly good oysters,” referring to a fully grown man in his 30s. I glared in his general direction. The shucker caught my eye and I got the very strong impression that it would be best to say nothing. That didn’t surprise me but what did was the couple’s reaction. The woman gave me one of those sweet, crinkly eyed smiles, and the man nodded in my direction and grinned as though we were all in on the “problem” together. The shucker later slipped me a couple of oysters for free with a pat and a look; a prize, I’m guessing, for noticing the slur but not making a fuss over his head. This is similar to experiences I’ve had on other Deep South excursions. White strangers on past trips have attempted to strike up racist discussions with me about Blacks, or warn me out of certain “darker” parts of town. All reminders of how complicated issues of race and the color line are, and how transient Asian Americans are where that line is concerned. Thanks to friends who have been generous in sharing their experiences, I’ve learned how the term “people of color” can create problems. While on the one hand the term was coined to create the basis for cross-race solidarity, careless use of the term is having the effect of glossing over important differences among us. Among organizations reliant upon national funding support to accomplish their work, this glossing over has put African American and Native American groups at a disadvantage. When multiracial groups universalize the experience of “people of color,” they inadvertently make it more difficult for groups supporting solutions based in and designed for Black and Native groups. These groups tend often to be more organically rooted in the communities they are advocating for than multiracial groups, but have difficulty receiving support because the problems they are facing are so deeply entrenched. Universal solutions tend to best serve those who face problems that bend more easily to protest, often because of race-class (what I sometimes refer to as “caste”) advantages. For instance, it’s easier to win translation of government documents to create more access to vital services than to end the war on drugs. Neither comes easy, but one often requires an administrative change, while the other requires a change in national policy, political culture and budget priorities of concern to large sectors of capital. It reminds me that highlighting the ways in which we are different, and not just what we have in common, is a strength and a responsibility we have to one another. We don’t just need unity, but unity in our diversity.